Welcome back to our Tuesday Takes! Once again we have a lovely sketch by Cardabilities. 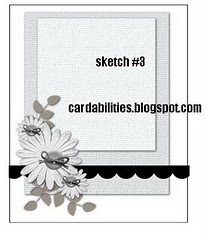 I can't wait to show you what our lovely card Mavens have created using this sketch. Our sponsor this month is Charlene's Button Box. Annie Ling hails from the sunny city of Kuala Lumpur, Malaysia. 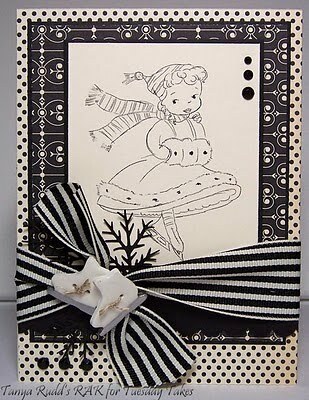 I stumbled into the world of crafting when making a card for my goddaughter about 2 years ago, but only taking up craft seriously beginning of this year when I started my blog. I am just in love with colours, textures, designs, techniques and constantly amazed and in awe with the works of talented crafters around the world. 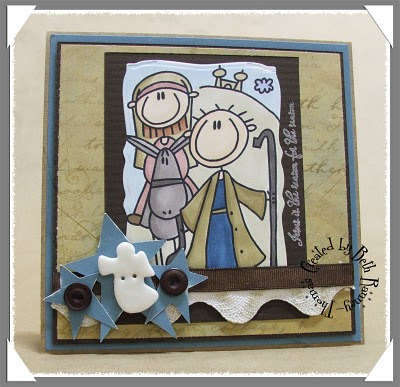 I do not have any distinct styles, however loves stamping, cutting, colouring, die cutting.. well everything in the crafting ;p and combining various elements. Crafting calms me, soothes me and allow my inner creative expression to emerge. I am still new to crafting, always learning, trying and expressing :). 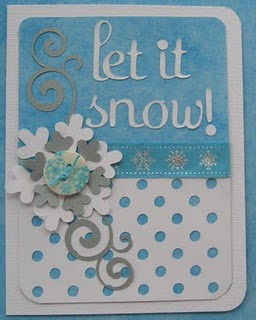 Beautiful card and thank you so much for designing with us this week! Are you ready for some dazzling inspiration from your Mavens? Don't forget you are playing for these yummy buttons from Charlene's Button Box....all you have to do to win is play!!!!! Beautiful cards ladies! Welcome Annie so nice to have you as a guest! I did this one, just not in time to enter it. I really liked the sketch and the way it turned out.